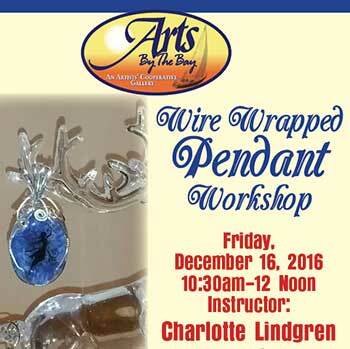 Wire Wrapped Pendant Workshop with artist Charlotte Lindgren. Create wearable art for yourself and for gifts. All materials are included. (Bring a magnifying glass if needed).